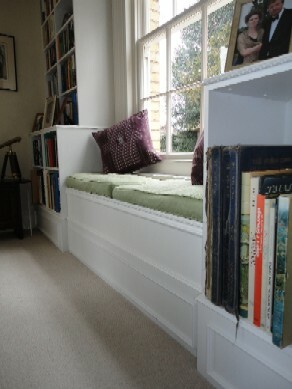 perfectly sited in between the two, a window seat with storage under. 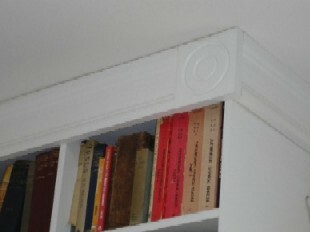 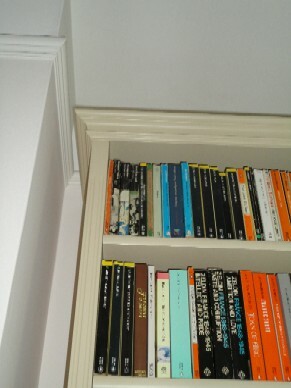 The Georgian architecture of the property was picked up in the mouldings and turned roundel details at the top of the units.The base set of units were 450mm (18″) deep and the top shelf units were set back to 300mm (12″). 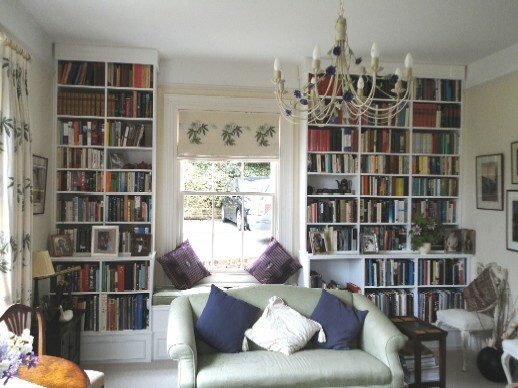 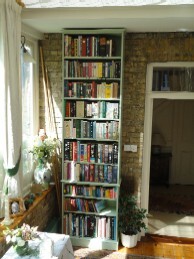 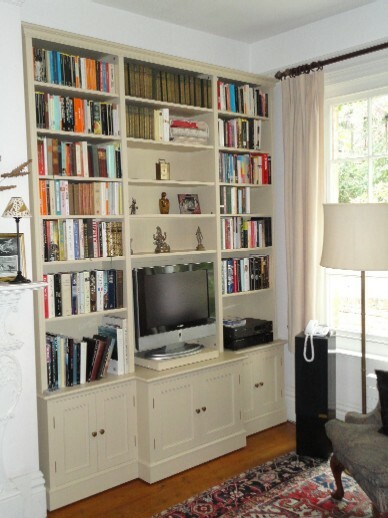 This initial piece of furniture was commissioned back in 2005, recently we were called back for some more book shelving and these were the resulting pieces! 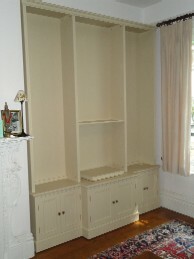 Painted Free Standing Breakfront Cupboard Unit With TV Slider. 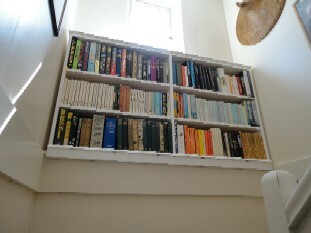 For a free home visit or consultation at the workshop call Nick on 01580 830667.